Sirens are classified as any person that is given a specific type of magic from the God of the Sea. History books have written in Sirens as being mermaids and mermen who sing beautiful tunes that lure sailors out into open waters - however this is not entirely true. Sirens, while often gifted with a beauty and an enchanting voice that calls to others, are not always singers and some can even spend their entire lives away from any body of water. Sirens are considered followers of the Sea due to their magic stemming from the Goddess of the Sea. Most importantly, there are two distinct types of Sirens: Uncursed Sirens and Cursed Sirens. The magic that Sirens wield can be broken into four different categories: Vocal Magic, Shapeshifting, Enhanced Physique, and Water Magic. Vocal Magic is the art of giving magical commands to others who will follow those commands to the letter despite whether or not they actually want to do so. This is the most common type of magic associated with Sirens and it is voice commands. This magic is difficult to train correctly and when untrained the results can be disastrous. It is possible to, in cases of weaker Sirens, grow used to hearing commands and thus cause the commands to be less effective. 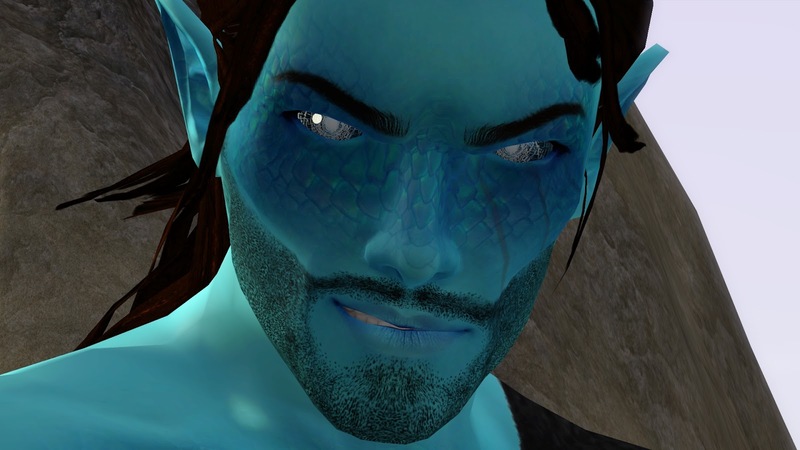 Shapeshifting is the ability for Sirens to change their shape to another human form at will. This type of magic is much more uncommon and takes a great deal of time and power to master. While a fair amount of Sirens can change their hair and eye color at will, changing one's entire shape usually requires a great deal more magic and effort. Enhanced Physique is less of a magic to be trained and more of something that some Sirens are born with. Some Sirens are simply born with better physiques for swimming and can liquefy themselves to travel quickly through bodies of water. Not all Sirens are born with this Enhanced Physique, it's actually a rare attribute. Water Magic is a very general term for the ability to control small to medium bodies of water with the will of the Siren. With enough power they can cause minor tidal waves and storms. This attribute is fairly common in most Sirens, but the extent of which most Sirens can control water is very minimal. Only those who really train and practice or those who are born with great power are capable of really controlling the waters around them. All Sirens practice one or many of the above types of magic. While their magic is very clearly associated with the ocean and water, that does not mean that they are required to be in - or even around - water. The main reason for that confusion stems from the difference between Cursed and Uncursed Sirens. Esmerelda Darko: an Uncursed Siren known for her abilities with her voice and shapeshifting. Uncursed Sirens, or just plain "Sirens," are a majority of the Siren population. They can walk around freely and are not tied to any special diet or restrictions. A lot of Sirens who stay far from the water claim to hear a certain "calling" to the sea, but there is no scientific proof of any actual magical pull that might exist there. Uncursed Sirens can blend in perfectly to any human environment without any need to conceal features of theirs. Due to this, it is difficult to pinpoint where all the Sirens are in the world as they can be pretty evenly spread out. Cursed Sirens are where a lot of the confusion from Sirens comes from. To start this explanation, one must understand that Cursed Sirens and Uncursed Sirens are not mutually exclusive. Uncursed Sirens can become Cursed Sirens at any point in their life, should they come into contact with the disease that starts it. The fear of this alone can drive many Uncursed Sirens to extreme measures and past many breaking points. Becoming a Cursed Siren usually starts slow: a low-grade fever and minor rashes. Fatigue will start to set in after a few days along with difficulty focusing and erratic behavior. The Siren in the midst of becoming cursed will start to show scales on their legs after about a week or two into it. Finally, on the following new moon after seeing the emergence of scales, the transformation will completely set in and the Siren will undergo a painful night. Their legs will be covered in scales and their eyes will look like shattered glass. Cursed Sirens lose all free-will to the sea and its master - the God of the Sea. They are called to live in the water, or in Siren's Cove - the realm of their master where they gain greatly enhanced abilities for a steep price. Cursed Sirens cannot leave the water unless it is night. When the sun sets they may freely step onto land, however they must return to the water before dawn unless they wish to turn to dry out completely and turn to dust. Cursed Sirens are granted great speed and strength on both land and water. They can come out during the daylight, but only during storms. Cursed Sirens do not need to eat or drink frequently. When they hunger, regular food and drink will not sate them. Instead, Cursed Sirens crave flesh and blood of man. Cursed Sirens are where many of the stories spilled by pirates and sailors around the world come from as those on boats make for easy prey for the Cursed Siren. Beauty, Vocal Magic, and charm lure in unsuspecting sailors for the Cursed Sirens to feast upon. There are no known records of Cursed Sirens ever becoming Uncursed again.